The Salt Lake City urban rail network after the opening of the TRAX extension to the Airport (14 Apr. 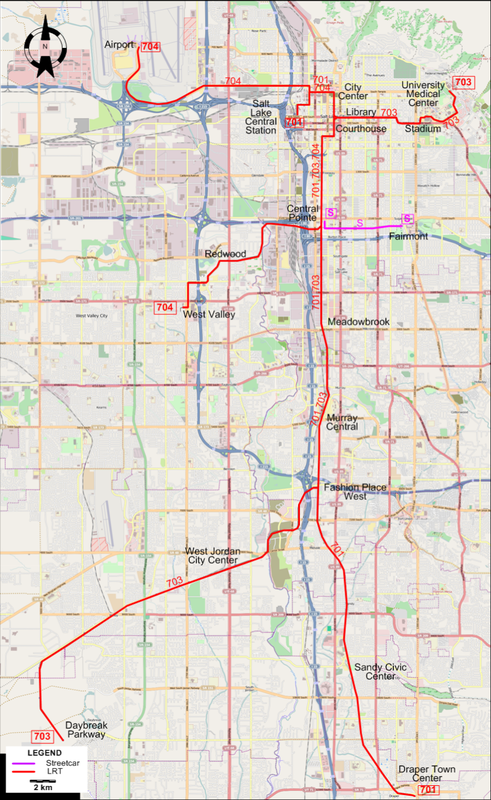 2013) and to Draper Town Center (18 Aug. 2013), and the opening of the S-Line streetcar line (7 Dec. 2013). Streetcars (second-generation): 7 Dec. 2013 - today. Light rail: 4 Dec. 1999 - today. Mac Sebree, B. "Salt Lake City - Trams for the Olympics", Tramways & Urban Transit, Nov. 1998 (61: 731), p.420-423. 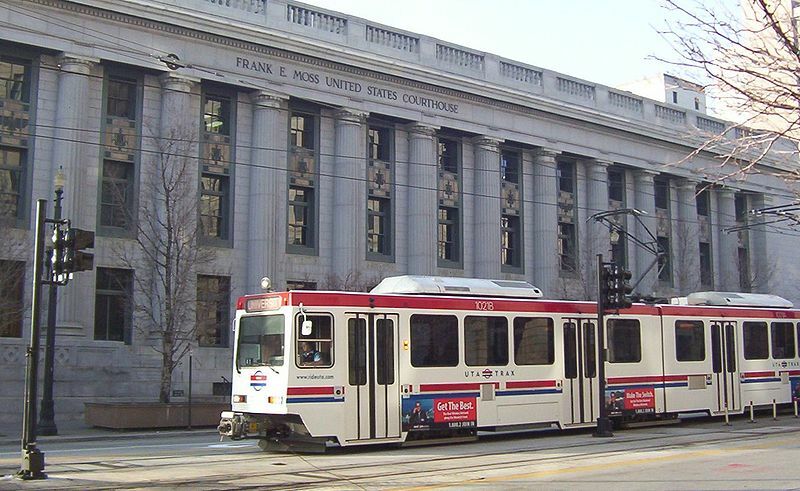 Simons, V. "Salt Lake City update - Where Sugar meets Salt for Utah LRT", Tramways & Urban Transit, Sept. 2014 (77: 921), p.396. Vigrass, J.W. 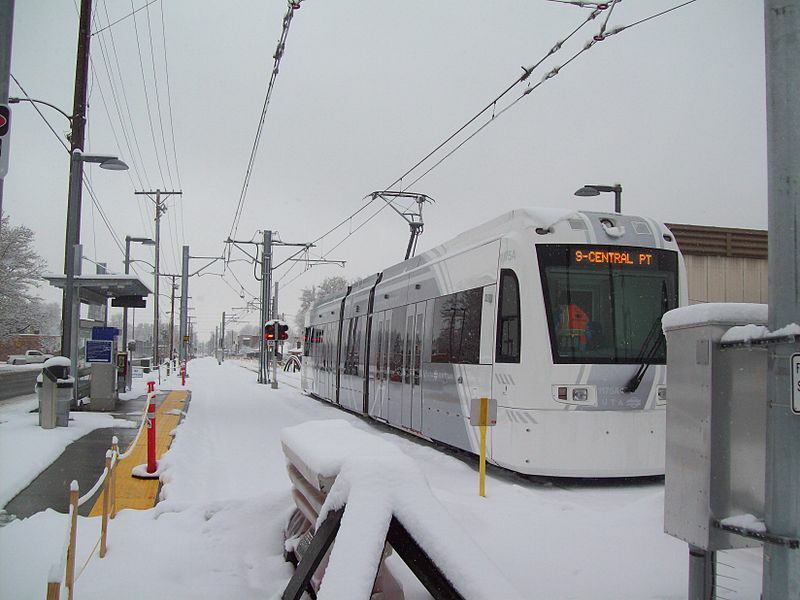 "Salt Lake City: TRAX is US's newest light rail line", Tramways & Urban Transit, March 2001 (63: 759), p.93-95. Vigrass, J.W. "Salt Lake City: US's newest light rail line", Tramways & Urban Transit, Feb. 2001 (63: 758), p.56-58. Vigrass, J.W. 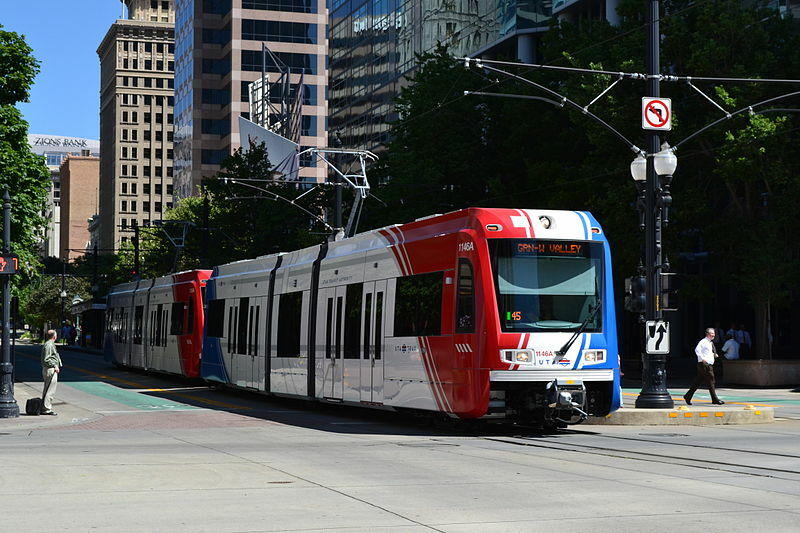 "TRAX: US's newest light rail network", Tramways & Urban Transit, Apr. 2001 (63: 760), p.138-139.